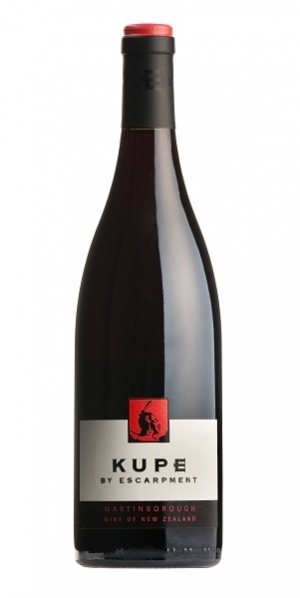 From Escarpment’s flagship single vineyard, Kupe, comes this expressive and terroir-focused Pinot Noir. Never too exhuberant or overtly plush, but always balanced with a core of intricate tannins and sublime focus, Kupe has a supremely Burgundian feel, indeed, the vines themselves share the same rootstock and vine spacing as Domaine de la Romanée-Conti. An understated powerhouse of New World Pinot Noir… and the worldwide acclaim just keeps on building for Larry McKenna’s wonderful wines. string(578) "If Cabernet Sauvignon is the king of wines then Pinot Noir is the wine of kings. So delicate, pure, feminine and graceful, it is arguably the finest variety in the world, responsible for the great wines of Champagne and Burgundy. Temperamental, yes, and difficult to cultivate, but can any other grape offer such dimensions of flavour or intellectual gratification? I would struggle to find one stronger! Summer berry compote flavours, with redcurrant and pink petal aromas, it is often pale in the glass, yet can offer depth and vigour simply unachievable from any other grape."